It isn’t just about setting up and serving on the day. The Durban mon village Association has put in considerable time choosing a menu, the music, and the myriad of other considerations required to make this a memorable event. Just prior to the day, I witnessed several villagers creating the new countertop you see in the above photo. Celebrants begin arriving at about 7:00 in the evening and staking out where they want to sit, speaking with friends and taking a beverage from this willing crew. The food begins! Bread, water, wine and such have been put in place and now the servers bring the first course. A half melon into which they will pour Muscat, a sweet, pale golden, wine. Though it is lovely, I opt for plain melon as I don’t have a sweet tooth. A young couple with their three year old daughter join our table as the melon is being served. The young lady and her mom pass on the wine but watch her appreciate the melon as only a child can do. Curried Coconut Chicken and Rice, it was delicious! As always, a good time was had by all. The DJ, sometimes a band or more, and the music and dancing go on will into the night. Even the smallest children, barely walking, are out dancing with parents, and grandparents. The French truly wrote the book on celebrating life. 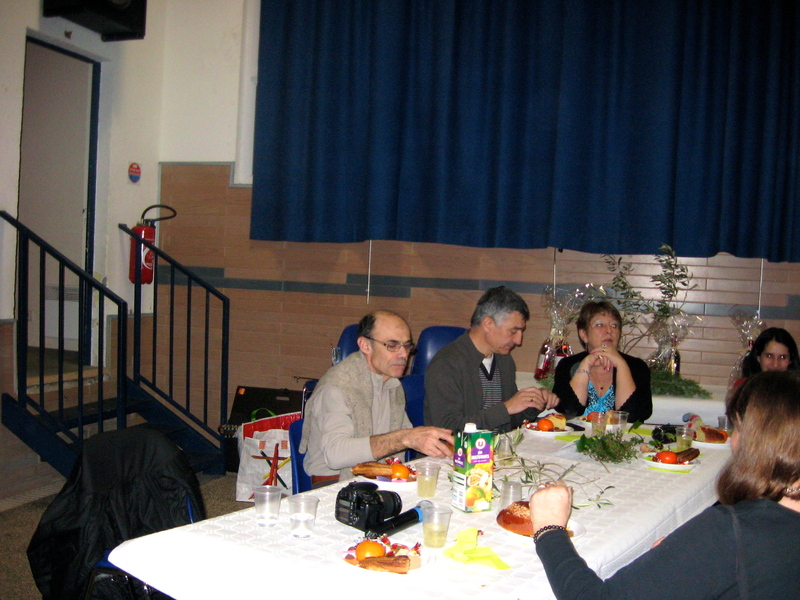 Each year, monsieur le Maire hosts a soirée. If you follow this blog, at some point you begin to realise that the French take their sense of community seriously and love to enjoy the company of family, friends and neighbours. Notice of the date is delivered about the village with a request for those who will attend to R.S.V.P. as they do want to have sufficient to serve all in attendance. Those needing a ride will be accommodated. 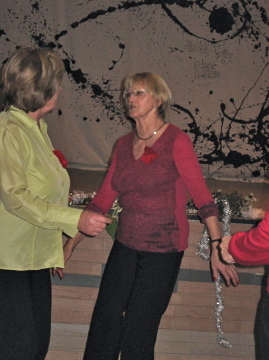 At the appointed time, villagers begin arriving and immediately the socialising commences. As everyone takes a seat, the Mayor welcomes the participants then gives a brief update of plans for the year. It is now time for the entertainment to begin. 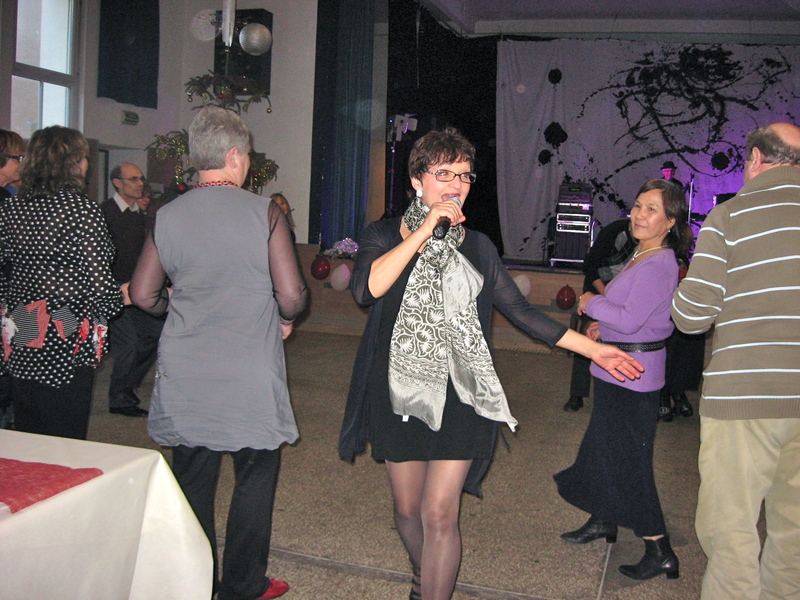 This year we were treated to songs by a chanteuse, Nadine, who was accompanied by Yves. Her songs took us through a melody of French and American songs. There were numerous costume changes and at one point she re-created the famous scene of Marilyn Monroe having the wind send her white dress flying high! 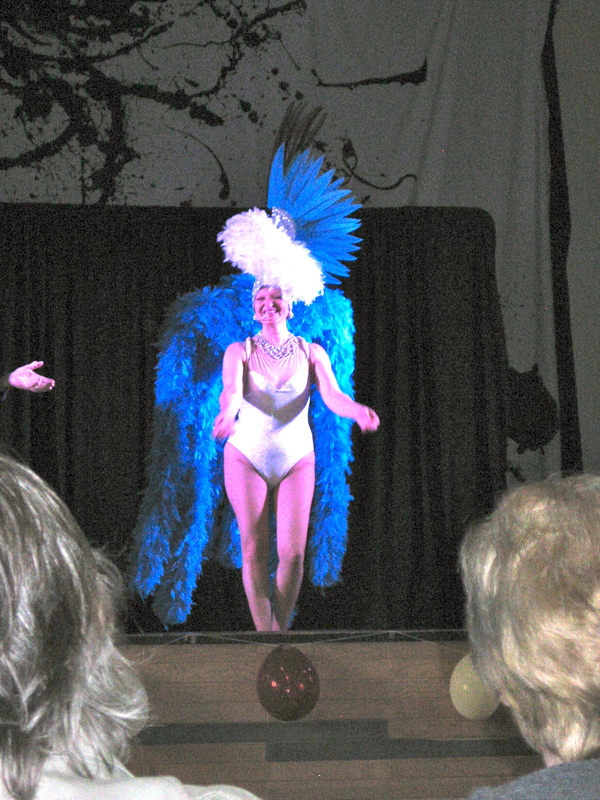 While there were a few lulls in the entertainment due to costume changes, she made up for it with her unbridled enthusiasm. Of course, no review of Marilyn would be complete with a rendition of Diamonds Are A Girl’s Best Friend. 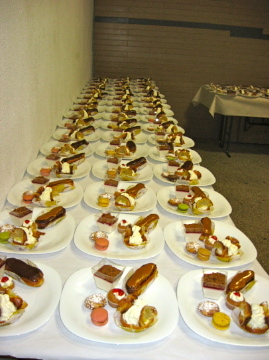 As she wraps up her performance, plates of pastries and other treats began to arrive. The decorated tables sported plates of chocolates. Small pots of flowers and tiny straw butterflies were strewn about. Once your plate was served someone followed up pouring you a glass of Blanquette. For those who prefer there were bottles of water on each table. 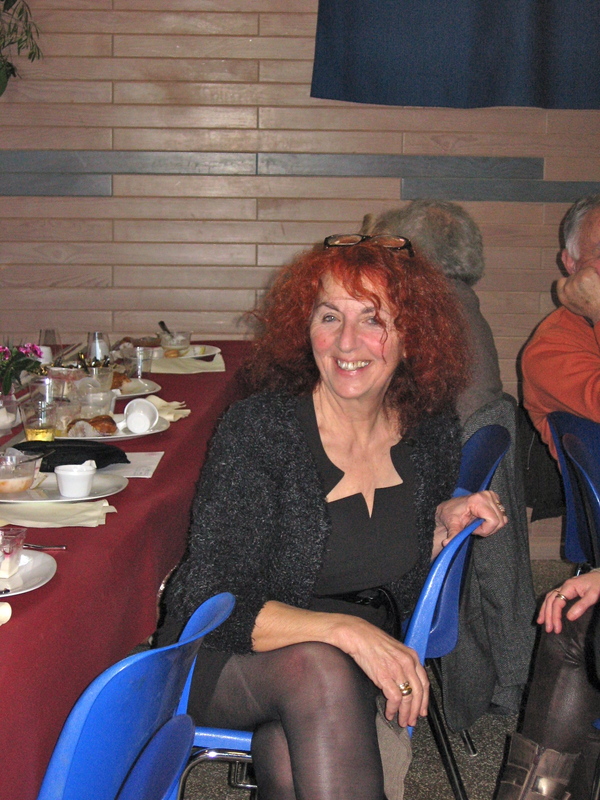 The chanteuse took a short break and changed out of costume then joined us for a small respite. However, she soon picked up her microphone and the music started again. 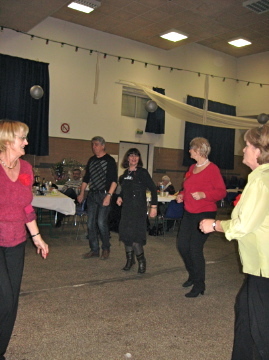 The dancing commenced and the party continued for quite some time. 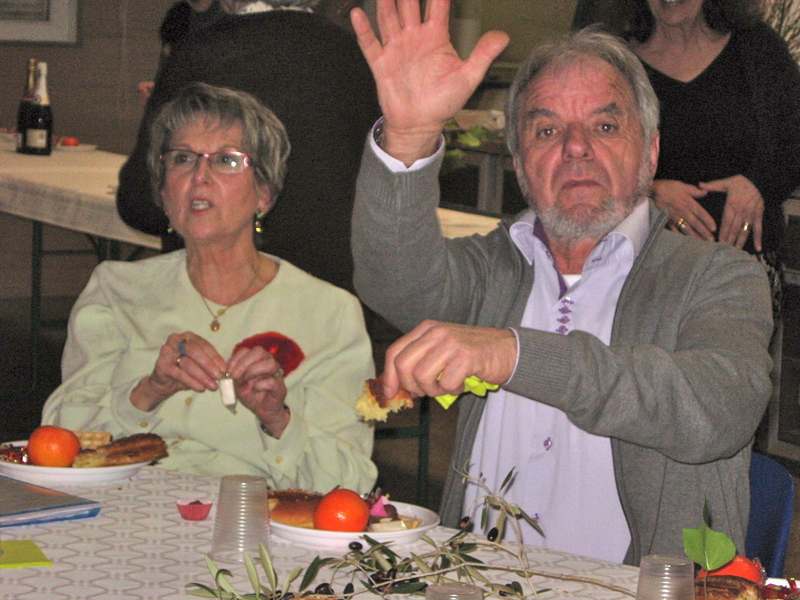 One of the many things I love about France and the French is that they truly enjoy life and celebrate it completely. 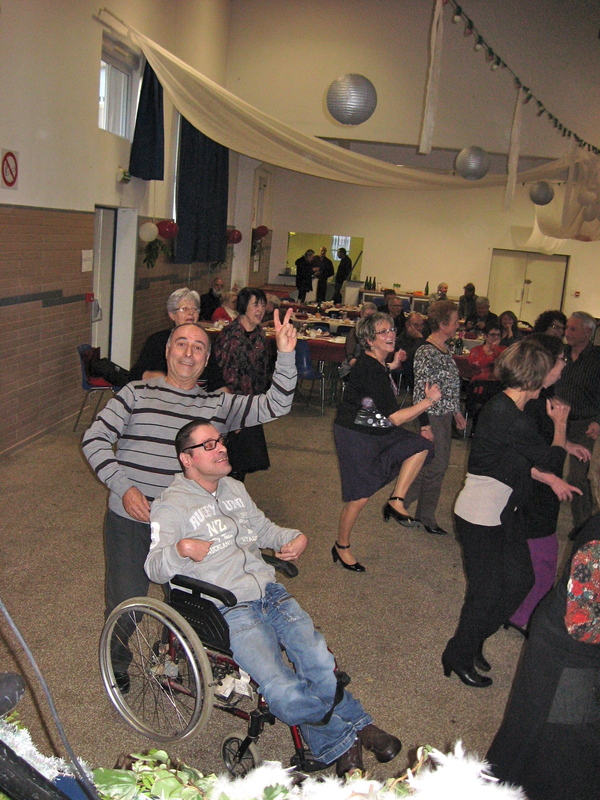 Last Sunday, the village association invited us all to socialise and share; food, music, wine, blanquette and most of all, each other. 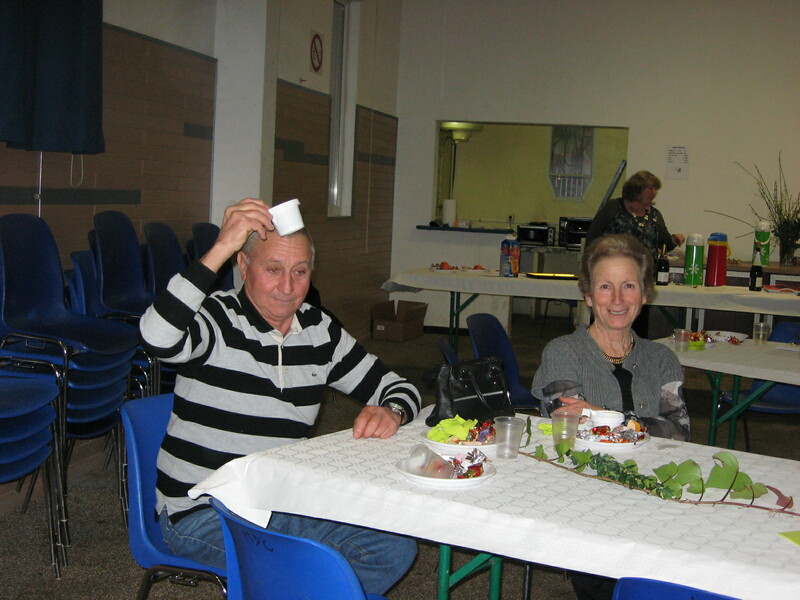 The tables were covered with white table cloths to allow the green ivy and olive branches to stand out. This event was organised by Durban Village Association. 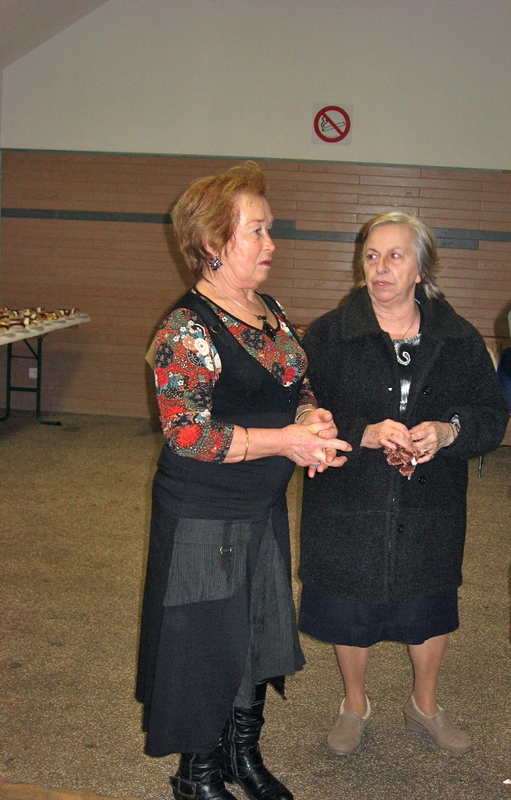 The event adds to the social calendar at a time when many things are on the quiet side and the small admission of three euros each goes toward the Associations coffers which fund improvements in and around the village. 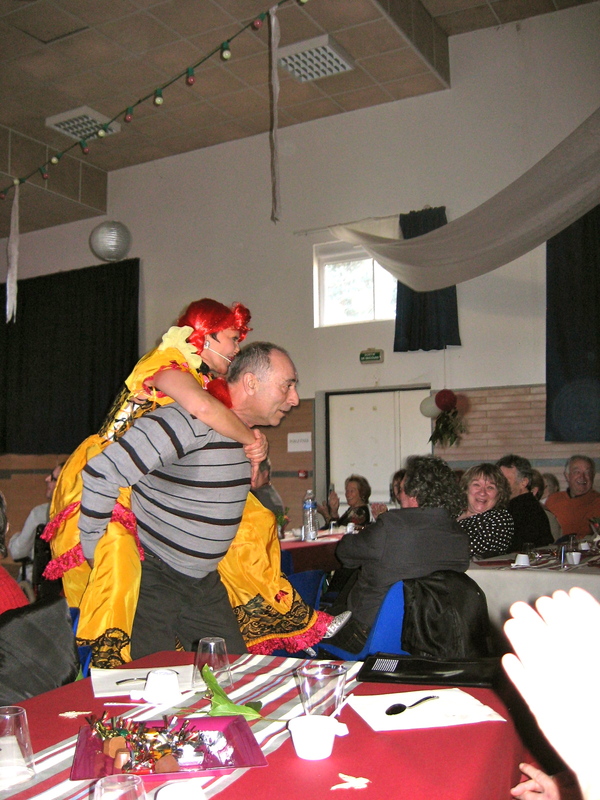 Les Chant des Corbières, one of the local choirs, was asked to perform and we were happy to do so. Albeit, being in the choir, I was unable to take any photos during the performance. 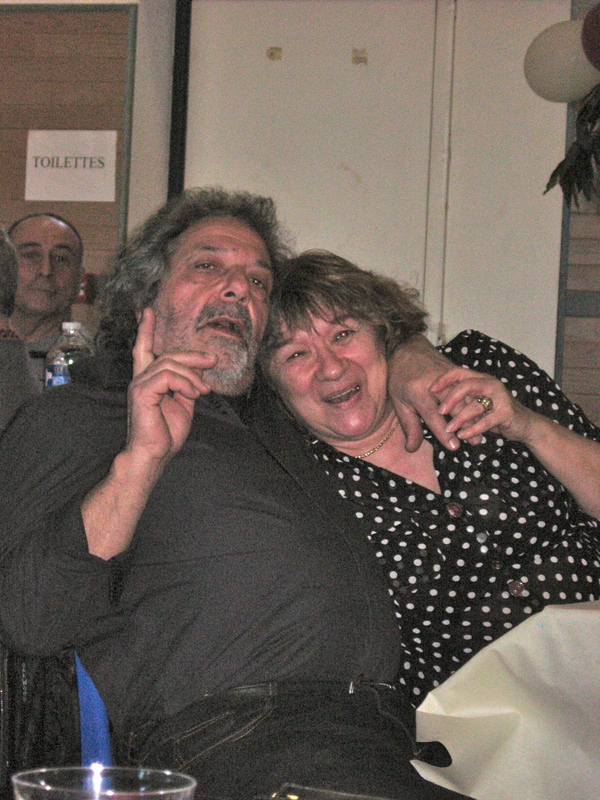 The songs performed included; Les Tourterelles, L’Epervier, Cangaceiro, Je Reviens, El Condor Pasa and Des Jonquilles. Le Chef (choir director) Jacque has included a significant number of songs in Spanish to our repertoire this year. 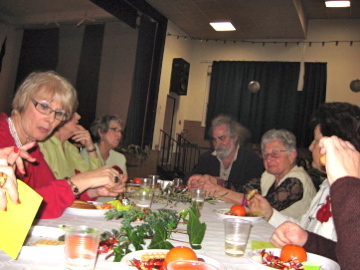 Like all other social events, people mingle about chatting with their friends and neighbours before settling down to a table. After everyone was seated the choir was introduced and the singing commenced. After singing, the choir members joined the others. Some sat with their families and the rest of us claimed a table of our own. 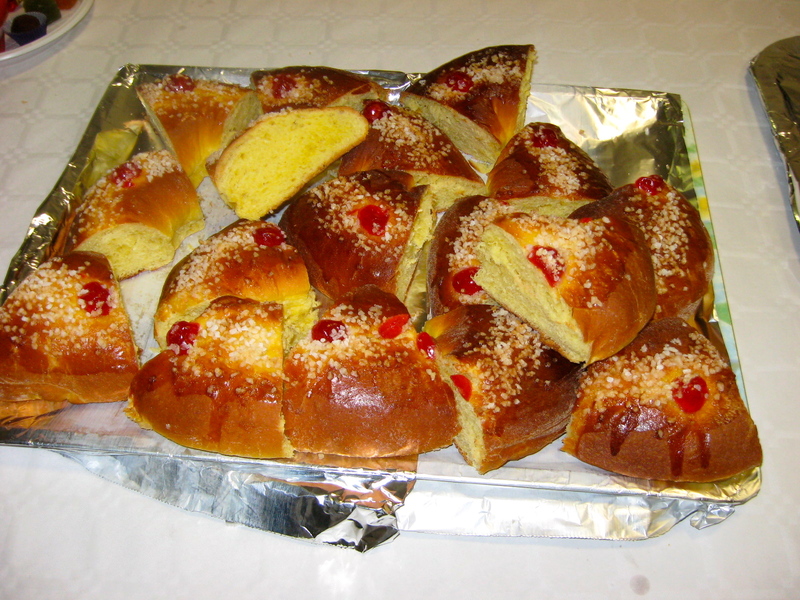 Plates of chocolates, cookies and a clementine were passed out then someone offered us each servings of Galette des Rois and Couronne du Roi. 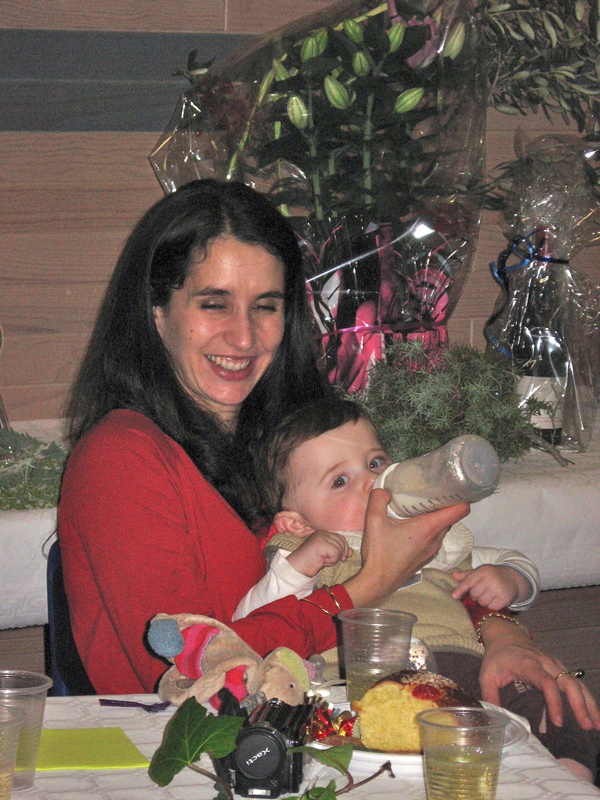 There were bottles of Blanquette at each table and water of juice as desired. A tombola was next on the agenda. 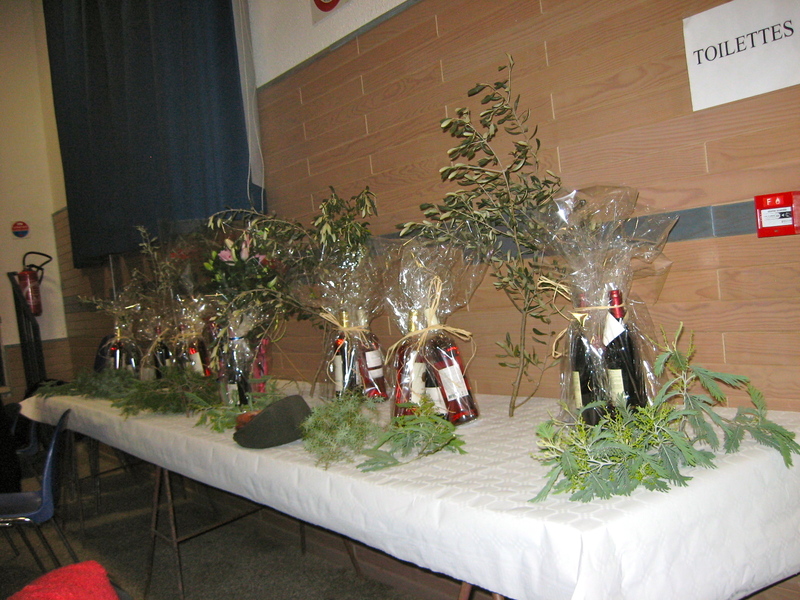 Each of the several winners received three bottles of wine and one included a large plant. Of the eight or so winners, three of us at our table had winning tickets! 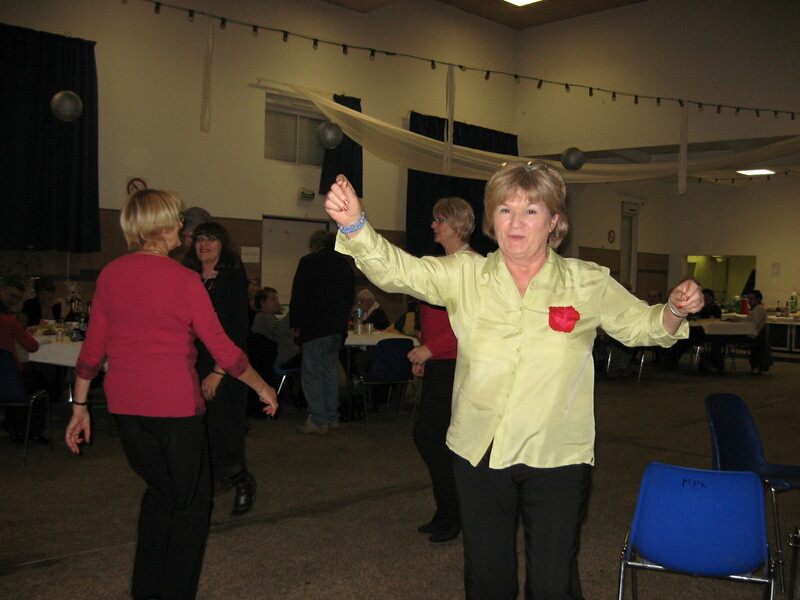 Our next village social is planned for 3 February 2013. Our host will be le maire (The Mayor). 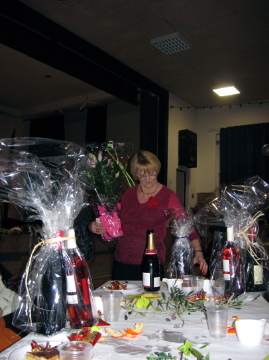 Maureen, Vice-President Village Association distributing prizes! 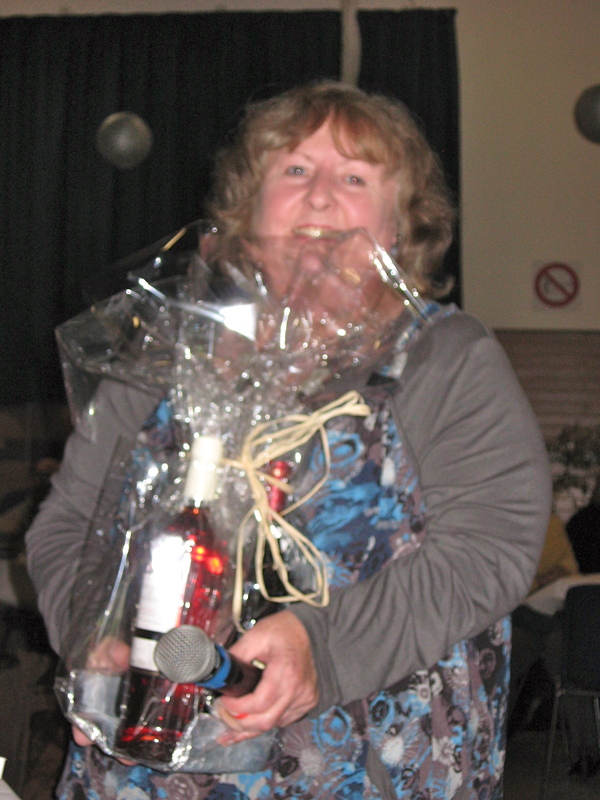 From the choir: Georgette, a winner! Prizes pile up at the choir’s table! 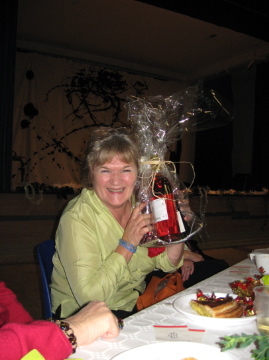 Madame President,Andrée, wins both wine and a lovely plant! 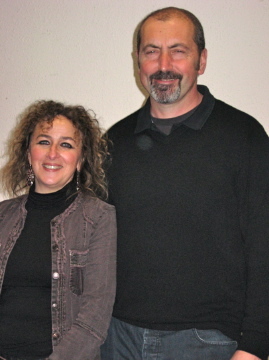 Monsieur et Madame Vidal welcome you!